Released on August 19th, 2015. Parallels Desktop 11 for Mac has just been released with full OS X Yosemite and Windows 10 support. Use Microsoft Cortana, your virtual assistant, on your Macsupport. There are several offers now available – If you are a student you can pick up Desktop 11 for Mac for 50% off (you’ll need to show a school valid ID to qualify). If you’re upgrading, you can move up from version 8 or 9 and upgrade for $20.00 off from the full version price. If you need a bundle pack of 5 licenses, then their volume discount cuts the price per license by $30.00 /each (saving you $150.00 vs. buying each license separately). Follow the above link to see all other current parallels.com deals. Remember, taxes are only charged for Illinois, Ohio and California state residents when ordering from the Parallels Store. No additional shipping charges apply when you select the electronic (download) delivery option. Expiration dates vary – See site for details. Pick up Parallels at Amazon.com. 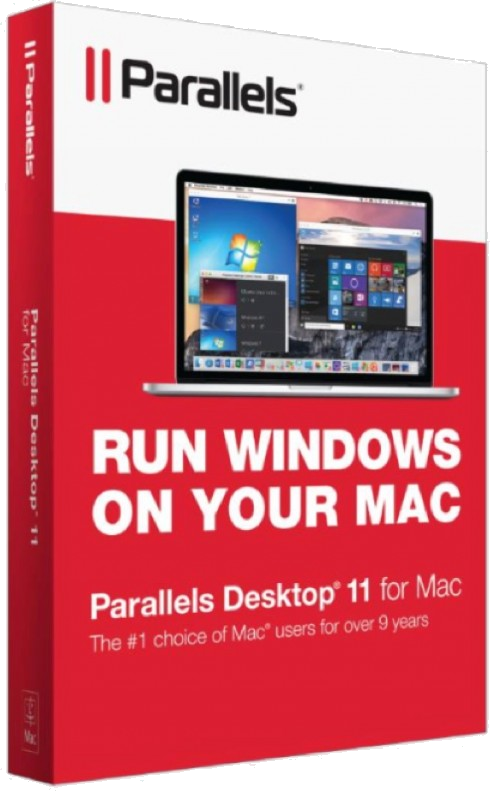 Parallels Desktop 11 for Mac has just been announced and available at Amazon. It’s just too early for any discounts. As for the outgoing version 10, you probably won’t find a better deal this week than at Amazon. There you can often save up to or even over 20% off the list price. At the moment of writing this update, it’s 23% off which drops the price down to just $61.38 with free shipping included. No coupon code is needed for this deal, just follow the above link to see full offer details. Just keep in mind that Amazon’s sale prices tend to fluctuate daily and may end without any notice to us so be sure to visit their store for more details. Sale prices will vary – offer expiration is unknown. When upgrading to Parallels 11. If you’re an existing Parallels Desktop for Mac user that’s on versions 9 or 10, then you can qualify for the upgrade discount available when ordering at Parallels.com. You’ll need to provide your current license key and it must be a qualifying version to be able to purchase and install at the upgrade price. No additional coupons can be combined with the upgrade discount. Are you maybe considering switching to VMware Fusion 8? Then Parallels has a special deal for you if you currently own an older copy of Parallels; if you’re switching from any Parallels version to VMware Fusion then you can get 28% off instantly when buying at the VMware Store. To qualify, you’ll need to enter your Parallels license key at checkout. The key is located in the about section in your current version of Parallels software and will look something like this: GF6KMP-32D0B8-102D1D-XN46RE-TVPKQ6). This offer is only valid for U.S. customers (if you’re outside of the United States then you will be automatically redirected to your local region where this offer is not available). If you’re a student (or your kids are) in just about any college, university or K-12 grade school, then you can get Parallels for 50% off the list price at Parallels.com. Verification is easy as all you need to show is a current school photo id or copy of your transcript. 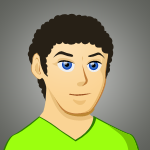 Learn more about all the other student discounts available on software here on SoftwareVoucher.com. Must be a student to qualify for this offer. If you’re checking deals on your phone from a Best Buy store at this moment, then you’re in luck as you’ll most certainly get the best price with their price match guarantee. Just show them Amazon’s current sale price and they should be able to match it for you right on the spot. The same offer also applies to orders made online, but you’ll need to call their customer service number at 1-888-237-8289 to make the request. All online orders will also qualify for free standard ground shipping. You probably know by now that Parallels is not enough to get you up and running with Windows on your Mac – You actually need to own a license of Windows to be able to install the operating system on your machine. If you don’t own a copy of Windows or if you’re looking to upgrade, then head on over to Amazon where you can puck up a Parallels-Microsoft bundled deal to save an extra 20% or so on your order. At the moment they have the choice of Microsoft Windows 8.1, Windows 7 Home Premium or Windows 7 Professional. Prices and bundle packages may vary so see site for full offer details. See store for more details and bundle pricing. If you’re a mac user but haven’t yet tried a program like Parallels that lets you run Windows and all your PC software on your Mac, then you’re able to test out Parallels Desktop 11 for Mac for free for 14 days of use. Afterwards, you can decide if you want to keep it and purchase the license or just simply uninstall the trial copy after it expires. No credit card is needed to try Parallels for free but they do ask for you to product your email address prior to letting you access the file to download. Is Parallels Desktop 12 for Mac coming out soon? We're expecting to see Parallels 12 to come out sometime in early September, 2016. New versions are typically released annually around the same time every year along with VMware Fusion. See the latest news and rumors page for more details. Is a deal not working? Is one of these Parallel coupon codes not giving you the discount that it should? Has a sales price changed or appears to be invalid? Then please take a moment to report it to us and we'll get it fixed right away. Sometimes it's just that a discount code is incorrectly copied but at other times the deal has in fact expired early. We check these promos on a regular basis but unfortunately, sales prices can change by 3rd party stores or manufacturers without any warning to us. Have you tried Parallels Access yet? Parallels is now offering 3-months free for those who have not yet tried Access. What's Access? It's a service that lets you access all the apps on your Mac from any internet connected device - Including you iPad and iPhone. 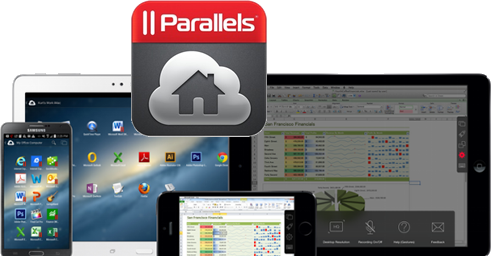 Learn more about Access and how to claim your free Parallels Access download key.